After being told I might be narcoleptic because I can sleep on demand after sleeping a full 8 hours, and never feel rested, I knew something was off. Doctors offered a plethora of drugs to help me stay asleep–and then keep me awake during the day. Rather than pollute my body with chemicals, I figured I’d just adjust my lifestyle and sleeping space. It turns out; my bed was awful for my body. I’m only thirty-three but was feeling like a ninety-year-old with arthritis every morning as I dragged my body out of unsupportive hell. Product and compensation were received to facilitate this Nectar Mattress review. All thoughts and opinions are based on my experience. 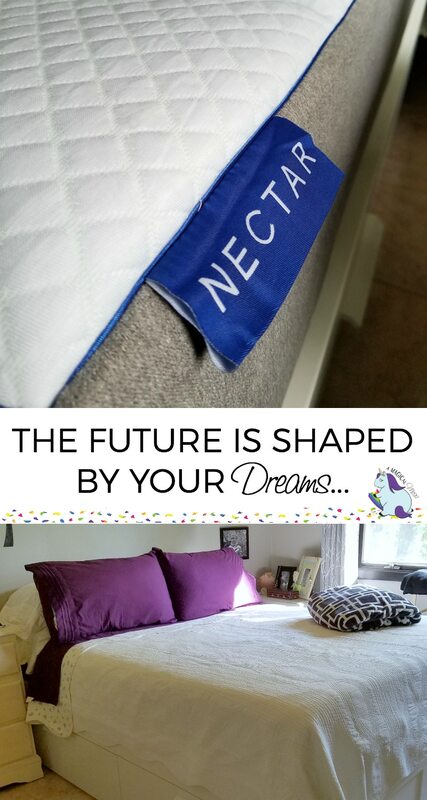 Get Your Nectar Bed Now! After sleeping on my couch for the better part of a month, my actual bed served as just a surface to collect all my belongings–and the kids’ stuff, and even some of the cat’s toys ended up there. When the Nectar Sleep Mattress arrived on my front stoop, life changed. 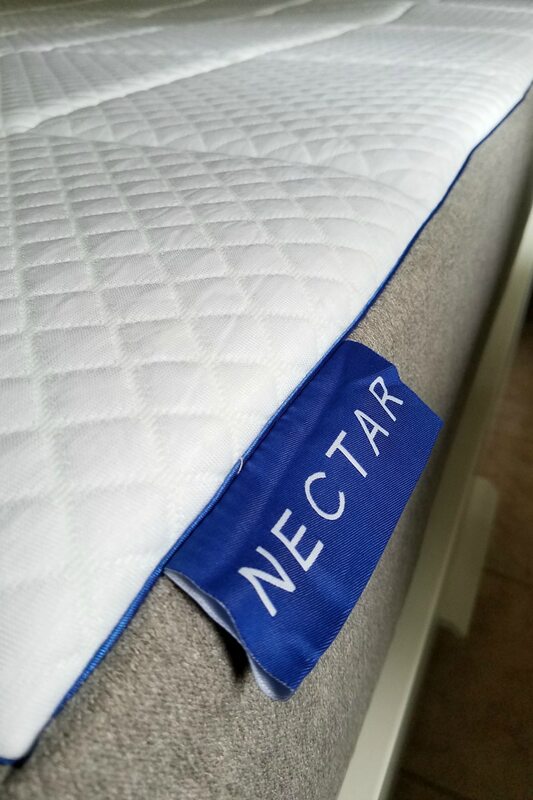 ==> Check out the Nectar mattress review from Review.org to learn more about the warranty, shipping and return policy, type of foam used, and layers of the Nectar mattress. Once aligned on my new base, Adam used the included tool to carefully cut away the plastic wrapping. I was surprised to smell NOTHING. Even my mom, who is a super-sniffer, came over and said this is the first memory foam mattress with no scent. As soon as the outer layer was cut it began expanding. It took about 3 hours to reach its full volume, and it’s the most comfortable bed I’ve ever slept on. The morning after night one, I jumped out of bed so excited to start the day. Can I tell you how many times that happened in my life? None. Without some stress-induced adrenaline, there is no jumping in the morning. But I went to sleep on my right side and woke up in the same position. I NEVER moved. It’s like I slipped into a tiny restorative coma because that day was so incredibly productive. It’s only continuing too! It’s been a week, and I’ve never felt better. I’m still tweaking my pillow situation. The ones that came with this mattress are a bit too thick for my neck. But they’re just right for building my pillow nest–shhh, I sleep alone, it’s normal to build a safety nest. My other major concern was that I’d wake up too hot. But the Nectar bed’s top layer is made of a gel foam, so it stays cool. If you need to search for the cold spots in the bed, they’re there! I remember when my ex-husband and I got our first memory foam pad–we were miserably hot and woke up frequently. This bed is truly meant for dreaming. I am getting the rest I so desperately need and it’s making my dreams that much more attainable–and memorable. So far, I’ve remembered three dreams in the last week! Super weird, as usual, but it’s so exciting I’m sleeping deep enough to dream! Get Yourself a Nectar Bed! Rated #1 by reviewers and acknowledged as “the best mattress money can buy” by customers, Nectar is a better bed at the best price. Each mattress arrives backed by Full Comfort Guarantee and Forever Warranty. What are you waiting for? Recharge like a boss! Order today and get $125 off your full priced purchase plus 2 FREE pillows! Getting a good night’s sleep can make all the difference in your day. I need to check out this mattress. Right now we have a mattress that is more pokey springs than actual mattress. Such great timing. Our mattress is 20 years old and we’ve been discussing a new one. Adding this one to the list to look into! Wow that is an impressive warranty, how could you not say yes to getting this mattress after seeing that? 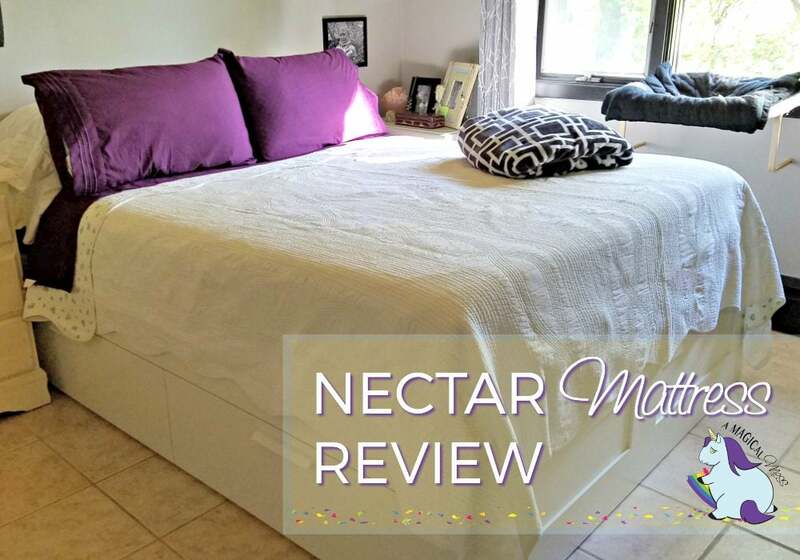 When I asked online for a mattress recommendation for the youngest kid, everyone said Nectar! So I became an affiliate for them with plans to buy one. I think this is a great brand, and so many are recommending them! I’ve heard nothing but great things about this brand. I need a new mattress I may give them a try, I love a good memory foam mattress. One things for sure, you’ll definitely get a good night sleep! FYI, I’ve read elsewhere that if you unzip the pillow, you can remove some of the faom filling to make it smaller & or softer to fit your preference. OH WOW! I never thought to try that!